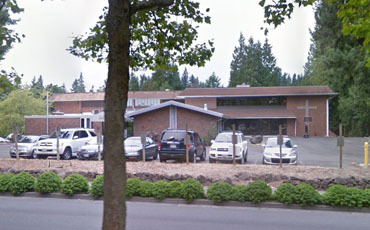 The RTB Seattle, WA Chapter serves greater Seattle and the surrounding urban areas of western Washington. Seattle is known for its coffee, software, music, and of course, the Space Needle. Also known as the “Emerald City,” Seattle’s landscape of lush evergreen forests and majestic mountain ranges back-dropping the Puget Sound make it a beautiful coastal treasure. The RTB Seattle, WA Chapter provides a dynamic place for skeptics and Christians alike to discover the wonder of this universe we live in and the Gospel of Jesus Christ. We exist to promote a healthy dialogue about worldviews and reasons for faith that promote a deeper understanding of the consistency between science and the inerrant Word of God. We meet in two alternating locations 9 months of the year in Jan, Feb, Mar, Apr, May, Jun, Sep, Oct, and Nov. Summer (Jul, Aug) and Christmas (Dec) we take a break. 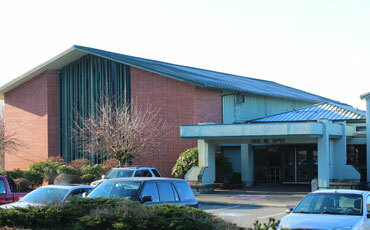 The meeting at Highlands Community Church in Renton is normally in the Fellowship Hall on the right as you enter the main entrance. The meeting at Lake Sammamish Foursquare is normally upstairs in Room 205, stairs are ahead as you enter the main entrance. We welcome anyone seeking to learn more about creation, the uniqueness of our place in this universe, the beauty of life on Earth, and our relationship to the Creator. We always enjoy vibrant discussion over coffee and food. We hope to see you at our next chapter meeting!